Wasabi, better known as Mr. Wawa, is one of my cats. 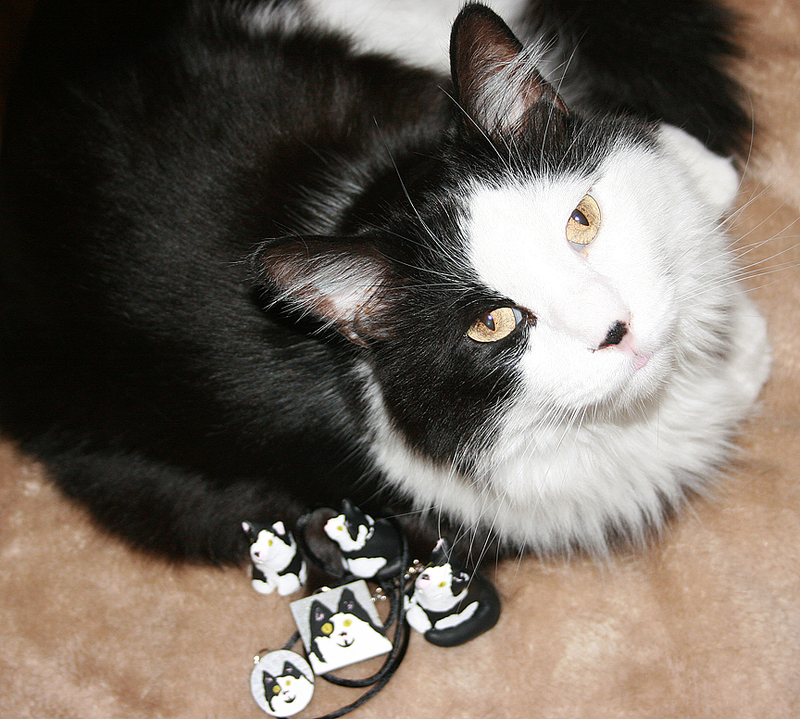 He is a tuxedo coat Norwegian Forest Cat, thus he is big and fluffy, and cuddly by nature. He is about eight years old now. I rescued him from a farm in rural Mississippi. A friend of mine saw him and saw that he was injured. Knowing I did animal rescue and rehabilitation, she asked if I could go try to catch him and take him to the vet. He was skin and bones when I got him. To make a long story short, it turned out poor Wasabi had been shot with a shotgun. Thankfully we were able to avoid amputation. He still has little metal bits in that shoulder, and walks with a slight hobble-limp at times. Sometimes he flinches if there are sudden banging sounds, obviously remembering the trauma of the event. I can't imagine why anyone would want to hurt him, he is such an affectionate and good natured cat. I figure he must have been someone else's pet at one point. Wawa is a very vocal cat, he likes to talk. That's part of how he got his nickname. When he meows, it sounds like he is saying "wa" or "wah wah". He has a wide range of vocals he makes when he interacts with people, especially if there is food or a treat involved. He's very food motivated, so it's been a breeze to teach him to "speak" on command, sit up, and a handful of other random tricks. His fur is cotton soft and he loves to cuddle and purr, and purr, and purr. His favorite pastimes involve eating, sleeping, and sunning. He gets along with just about everyone.